Can I claim one legendary traits and one with rare traits? 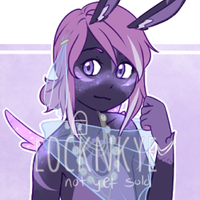 AquaBanana legendary MYO slots are not available right now, but you are able to claim a rare MYO slot for $25 USD if that's what you'd like to do. Oops, must've read it wrong sorry! Can I get 2 commons? just a head's up! i'm going to be out of town this weekend, so while you're still able to go ahead and ask for myo slots, i won't be able to send any transfers until probably late sunday night or early monday morning. i'll be slightly easier to reach on discord though if you want to join the server and post your designs there to get them approved quicker! otherwise i'll answer all pms and check in on the thread when i can. 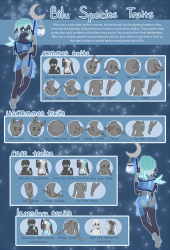 I'd love to claim a common MYO slot! boop boop, here's a small update! my birthday is this month, and I'm turning 25 on the 25th, so I decided to run a 25% off sale for MYO ticket pricing until March 25th! also plan to hold a naming contest for the bilu homeworld sometime in March, still deciding the prizes, but it'll probably include a rare design or MYO slot!! more info on that to come.